The 2018 season is over for the Baltimore Ravens, and it is time to begin the yearly roster evaluation. This year, we will go through all 10 positional groups and evaluate the state of each group, and make recommendations on what the Ravens need to change this offseason. In today’s article, we will take a look at the defensive line corps. Here are the seven defensive linemen that were on the 2018 roster. 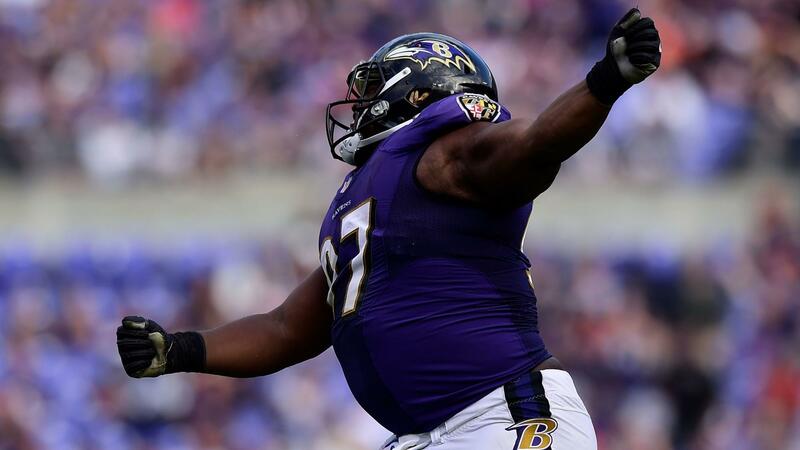 The Baltimore Ravens must start by securing Michael Pierce to a new long term deal. This transaction should take place before Pierce hits the open market as a restricted free agent. The Ravens do not want Pierce negotiating with other teams. At the best, it would drive up prices. At the worst, Baltimore would lose Pierce to another team. Michael Pierce is one of the best young defensive tackles in the National Football League, and it would be a huge mistake to lose him in 2019. After re-signing Pierce, the Baltimore Ravens need to decide whether to do the same to defensive end Brent Urban. Urban signed a one year deal last year to keep him in Baltimore in 2018, but the Ravens may be ready to move on. It is very possible that the Ravens would allow Urban to hit the open market, and let him walk if he finds a beneficial deal. Finally, the Baltimore Ravens should cut defensive lineman/fullback, Patrick Ricard, if the team opts to bring back Maxx Williams as a fullback/tight end. There would simply be no place on the roster for Ricard at that point. The Baltimore Ravens do not need to target any free agents, other than to maybe fill a roster position if the team makes cuts, or loses Michael Pierce and Brent Urban. If the Ravens want to add another defensive tackle, Baltimore can pursue budget options like Haloti Ngata and Danny Shelton. The money is tight at the position, as Brandon Williams’ monster deal takes up huge amounts of cap space. Ngata, age 35, could reunite with his former team for a short term and inexpensive deal. The Ravens could also go for a younger tackle in Shelton. The former Cleveland Brown was picked up by the Patriots this past offseason, but only had a minimal presence in New England’s rotation. If the Ravens want to pick up an additional defensive end, Baltimore can target veteran Chris Long. The son of Howie Long, Chris is still productive at the age of 33, and will be 34 in March. The Ravens could offer him a short term deal to come to Baltimore and fill a gap. Do the Ravens Need to Draft a Defensive Lineman? If I had an in with the front office, I would push to draft a defensive lineman in the fourth or fifth round. The Baltimore Ravens will have to make a decision after the 2019 season. This decision sits on the contract of Brandon Williams. The mega deal the Ravens gave Williams to stay in Baltimore is unsustainable. Although Williams just made the Pro Bowl, his performance has been outshined by that of Michael Pierce, a former undrafted rookie that came out of college just four years ago. The Baltimore Ravens have a potential out in Williams’ contract in 2019, and will need to either pull the trigger or stay put. The Ravens need to exhaust all options in evaluating Williams in 2019, and that includes drafting a player that could prove to be his younger, cheaper, and better replacement for 2020.